Red Truck is a big brewery that is pretty hidden. Located off of 1st Ave, when you get to the entrance it doesn’t look like a brewery is located there. It is a very industrial looking area and while they do have a nice parking lot, you need to be a little adventurous in order to enter the area as it doesn’t come off as being friendly to walk-ins. Once you are past the entrance, it is a very nice place that is very inviting and you will wonder why you ever thought that it was in a scary neighbourhood, as it is not scary at all. 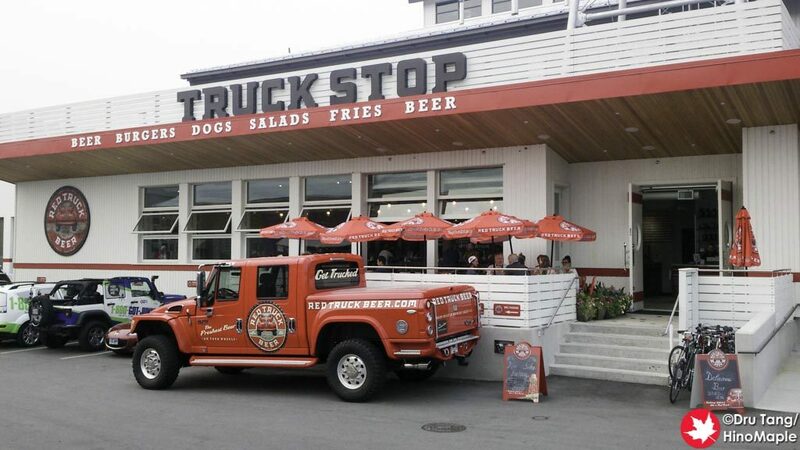 Red Truck is owned by the Mark James, the man behind several brewpubs in Vancouver such as Yaletown Brewing and Big Ridge in Surrey. 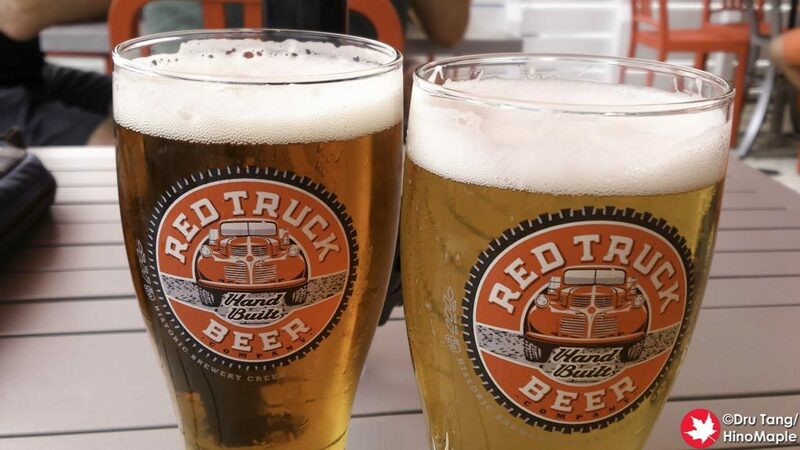 The name Red Truck comes from the idea that they use red trucks to transport their beer. 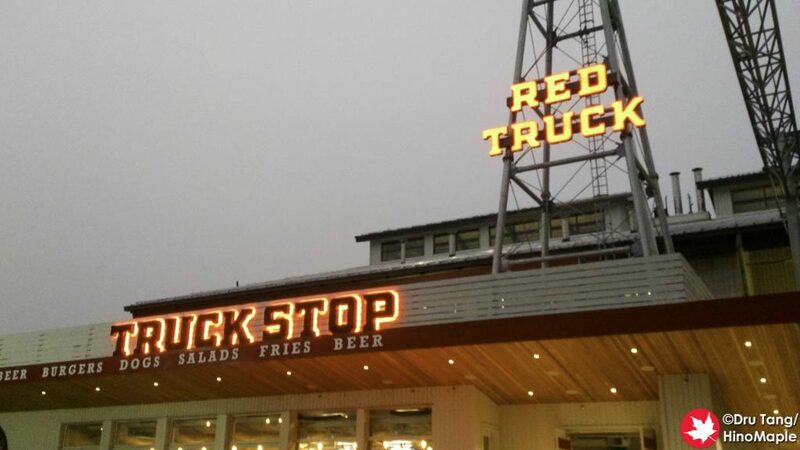 It is a smart marketing move and the tasting room plays on this concept as it is modeled to be very similar to an old fashioned truck stop. 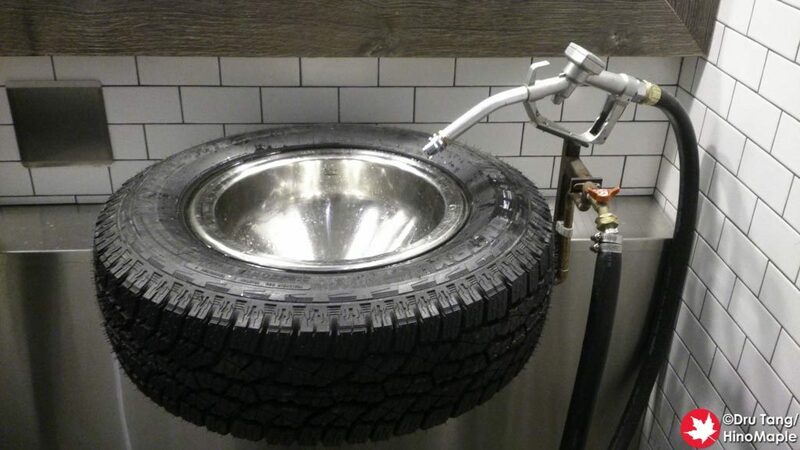 The entire truck theme is carried out throughout the building including their washrooms. The patio is also a wonderful place to be in summer for a nice quiet beer with friends. The beer at Red Truck was good as most of the beer from around Vancouver is. The quality of ingredients and the selection of standard brews were very good. I really enjoyed the nice cold beers outside while catching up with some old friends and meeting some new ones at the same time. The only gripe I had and it is only a gripe that a beer snob would have, is that they didn’t have any interesting beers on tap. Having been an alcoholic (self-proclaimed?) for the last couple years, I have tried a lot of different beers. Having drunk over 500 different beers, I am always searching for that new beer that will tickle my taste buds and make me excited to discover how it was made. Red Truck couldn’t do that but they did a wonderful job making standards and with time they may grow to include great experimental beers. The atmosphere at Red Truck is really good on the day that I went. I was able to sit outside on the patio and enjoy the beautiful summer evening. I really recommend it as it is very quiet as well. For the Mt. Pleasant area, you won’t find a brewery with such a nice patio as most of them don’t even have patios. I was really happy to visit Red Truck and catch up with friends and I’m sure that I’ll be back again. This entry was posted in Canada Food and tagged beer, canada, CraftBeer, Mt. 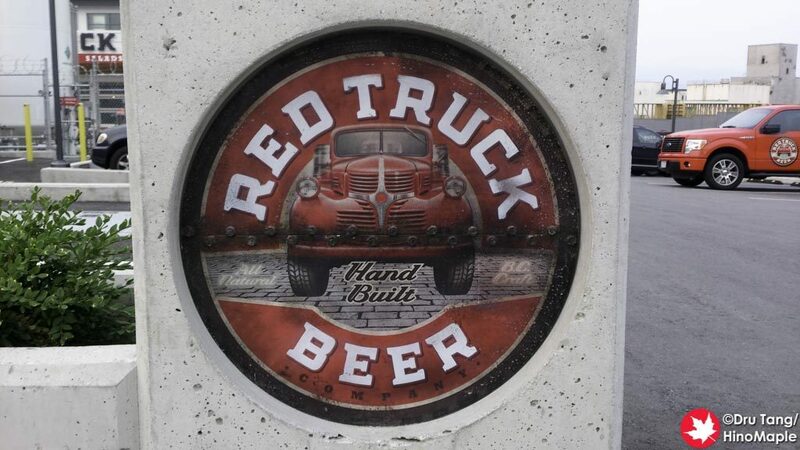 Pleasant, Red Truck, Red Truck Beer, vancouver by Dru. Bookmark the permalink. Do you have replica trucks like the ones Home Hardware has. I don’t think they do but it is better to ask them. I do not work for them.